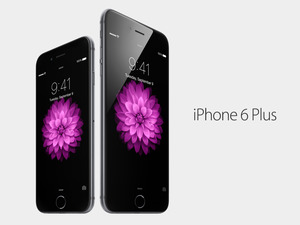 Happy iPhone 6 Day Plus, everybody. Apple’s newest smartphone goes on sale Friday, and in 10 countries around the world people are finally buying their phones, some after waiting in line for heroic stretches of time. All night the #iPhoneLine hashtag has been sizzling on Twitter and Instagram, as Apple fans do what they love—take pictures with their iPhones and post them online as artfully filtered squares. Here are some of our favorites. Thanks to everyone for sharing! 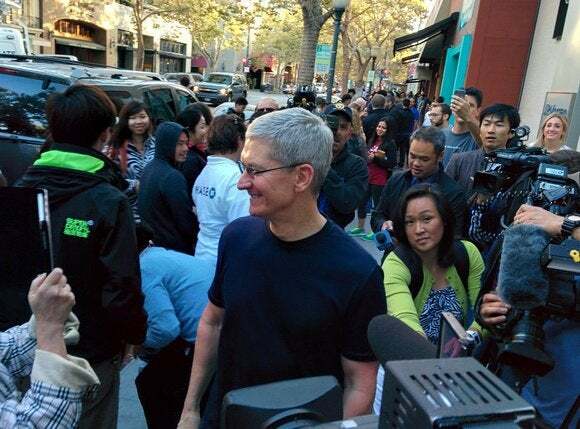 Our friend Martyn Williams of the IDG News Service went to the Palo Alto store in the morning, hoping Tim Cook would drop by. And whaddya know, he did! Looks like fun out in Manhattan last night. Gotta love those smiles. This guy in Tokyo thinks the International Date Line rocks! Why look, it’s a lovely photo from our own Marco Tabini! And one from our dear Serenity Caldwell! Instagram has a lot of great shots, naturally. Instagram’s new Hyperlapse app made a few appearances too. I hope the new iPhone will make smoother video, don't you? And of course, if you’re lucky enough to get the phone you want before your store runs out, waiting in line could snag you a beauty like this iPhone 6 Plus.